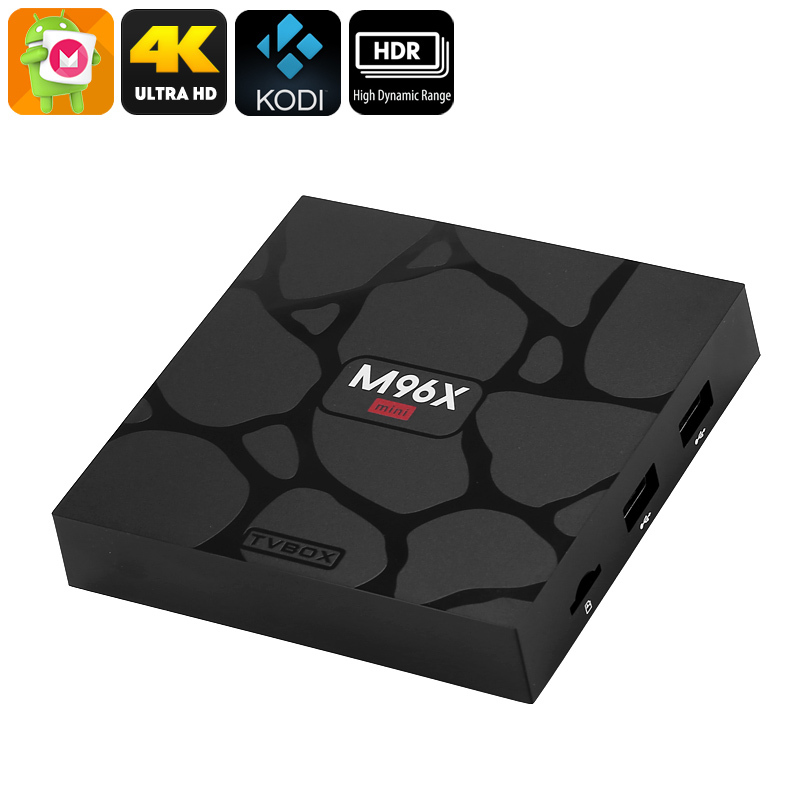 Successfully Added Android TV Box M96X Mini - Android 6.0, 4K Support, Quad-Core CPU, 1GB RAM, IR Remote Control, WiFi, Google Play, Kodi 17.3 to your Shopping Cart. The M96X Mini TV Box is a great electronic gadget that lets you watch movies on demand, play games, and browse the web from our big screen TV. With its Android 6.0 operating system, it brings forth a user-friendly experience that comes packed with entertainment options. Your Android TV box comes with Google Play and Kodi 17.3 installed. Therefore, you have free access to plenty of the latest Apps, games, and more. From now on, you’ll be able to entertain yourself, your kids, and friends. With this Android TV box in your living room, you can be guaranteed that you’ll never experience a moment of boredom again. By supporting 4K, this mini TV box lets you enjoy media in Ultra-HD resolutions. Like any other 4K TV box, the M96X Mini provides you with absolutely stunning visuals. High details and vivid colors allow you to enjoy your favorite films and sports games like never before. Simply sit back, grab yourself some snacks, and relax. With this 4K TV box, you’ll be able to enjoy a cinematic experience from the comfort of your own living room. Additionally, it also comes with an IR remote control for extra usability. This useful little gadget lets you browse through the features of your Android TV box without ever needing to get up out of your sofa. Within its compact body, this 4K TV box packs a Quad-Core processor. This CPU has been clocked at 1.5 GHz thank to which it is capable of handling all basic Android applications. Along with 8GB or internal storage and a 32GB SD card slot, there will be plenty of space for you to explore all the latest media available in the Play Store. Thanks to its WiFi support, you can browse the web, stream movies, and download files at any given moment. This TV box comes with a 12 months warranty, brought to you by the leader in electronic devices as well as wholesale electronic gadgets..